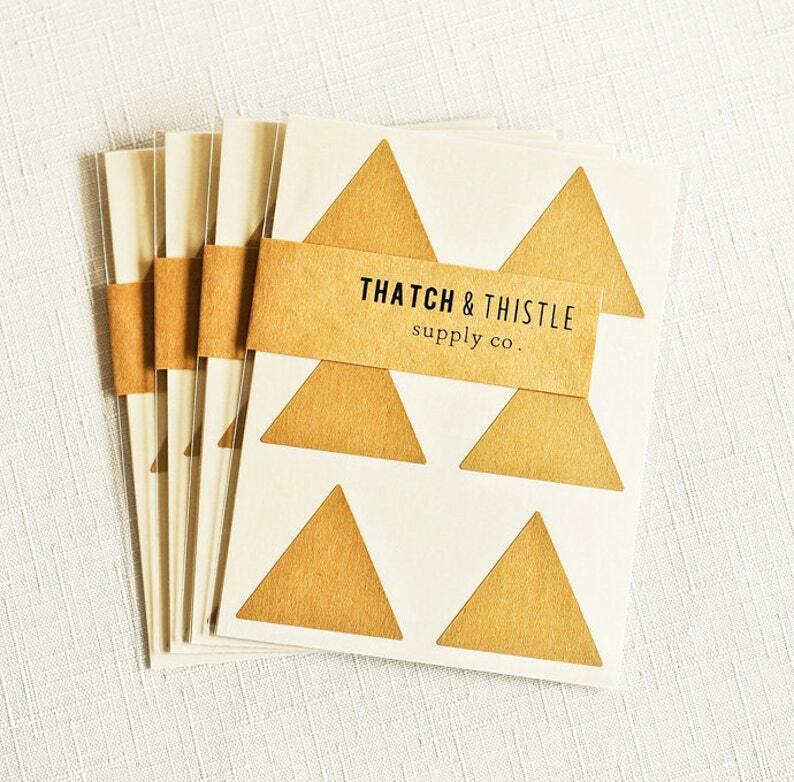 This listing is for a set of 24 lovely triangle stickers in kraft brown. Stickers are perfect for sealing envelopes, invitations, cards, crafting, parties, weddings, showers, gift wrapping, scrapbooking and embellishing your packaging! These stickers measure 1.5 inches and come packaged in a clear resealable envelope. Love the different shapes and colors! FAST shipping, excellent product -- good job!